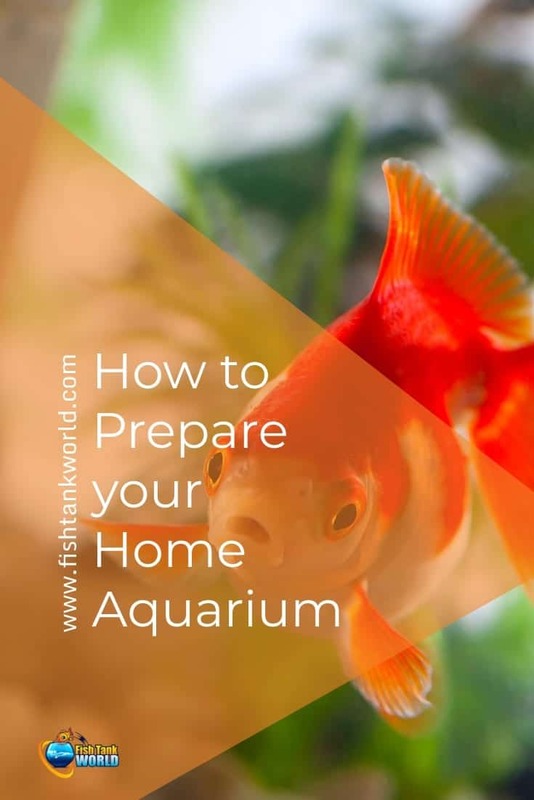 GUEST POST Sean Ben from The Aquarium Adviser shares with FTW audience some useful tips on how to plan and prepare your home aquarium in advance. So once it is in place you do not have to run around in circles to fix issues you could have spotted and fix beforehand. A little forethought goes a long way when setting up an aquarium. 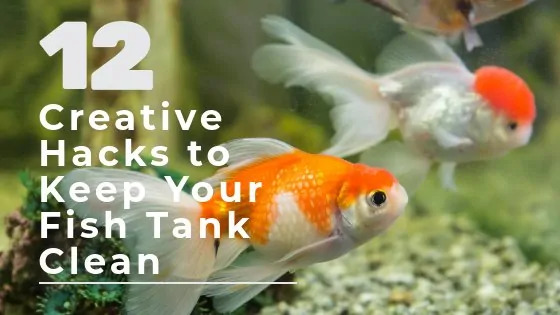 Give careful consideration to where you want to site the tank, because if you make a poor choice, you will have to empty the tank and strip it down before it can be moved elsewhere. 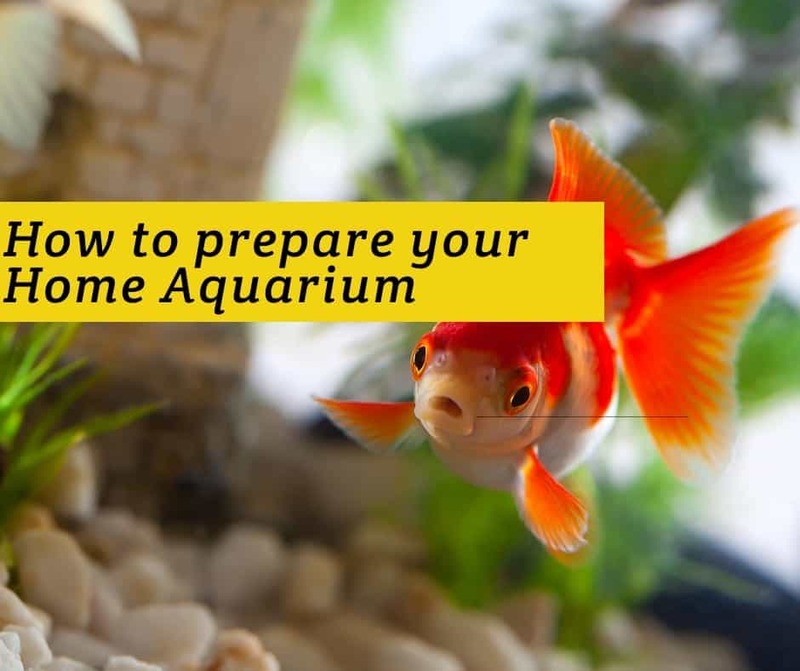 It is also a good idea to plan the layout of the tank well in advance, so that you end up with an aquarium that not only looks attractive but also allows the fish to display their natural behavior. One of the most important elements in the aquarium will be the substrate – the material covering the floor of the tank. 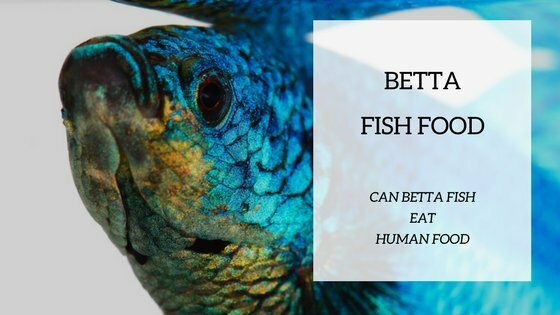 This not only forms an essential part of the habitat for the fish, but also provides anchorage for the roots of aquarium plants and a surface on which beneficial bacteria can develop. For fish that require a sandy substrate, use filtration sand or river sand, which are chemically inert (they do not affect the water) and non-compacting. 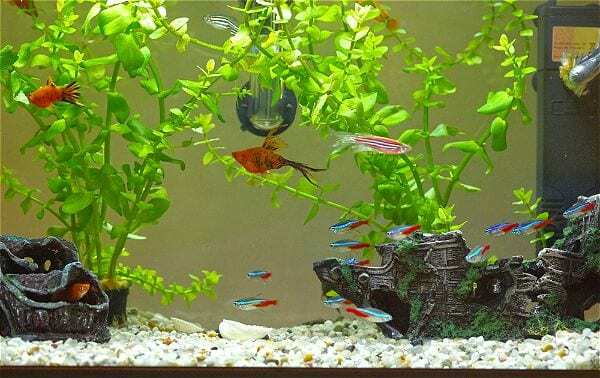 However, most freshwater aquariums use gravel as the substrate, since the water passes through it more easily than sand, making the undergravel filter more effective. Aquarium gravel is available in various grain sizes, but make sure that the gravel you choose is appropriate for the fish you intend to keep. The large stones of coarse-grained gravel, for example, will not be suitable for fish that habitually dig in the substrate, bury themselves in it, or sift the stones in search of food. When buying gravel, bear in mind that a layer of about 2 in (5 cm) is needed to create the filter bed, so allow roughly 2 lb (1 kg) of gravel for every gallon (4 liters) of tank capacity. 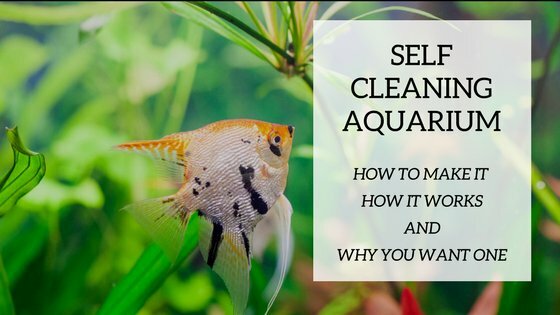 Although aquarium gravel is usually prewashed, this does not mean that it is necessarily clean enough for the tank. Rinse it thoroughly to remove all traces of sediment; otherwise, you may find that a muddy scum forms on the water when you fill the aquarium. 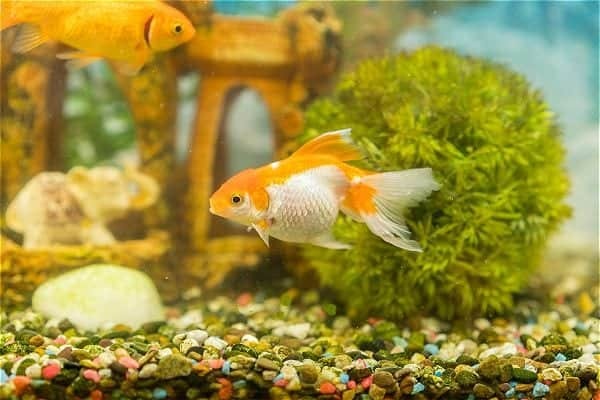 It is also advisable to soak the gravel overnight in aquarium disinfectant, to reduce the likelihood of introducing disease or parasites into the tank. 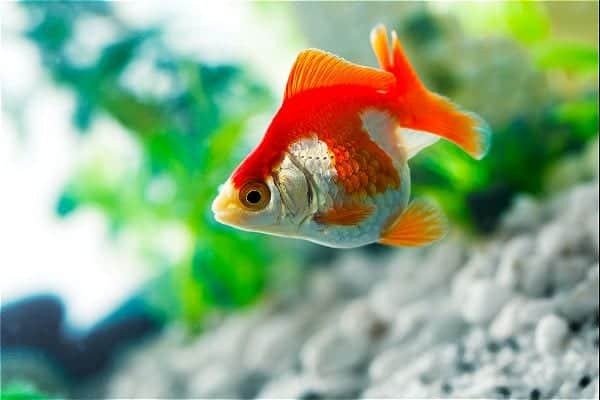 If you intend to keep fish that require soft-water conditions, avoid gravel containing limestone (calcium carbonate), since this will dissolve slowly and increase the water’s hardness. You can test gravel by adding vinegar to a small sample. If it contains limestone, the vinegar will fizz as it reacts with the calcium. With the gravel bed in place, you can begin to furnish the tank. Rockwork not only looks attractive, but also provides egg-laying sites for a number of tropical species—especially cichlids, which favor slate. In addition, rockwork offers fish places to shelter, and more aggressive species may use it to mark out their territories. As with gravel, the vinegar test will tell you whether the rocks you plan to use contain limestone. You can avoid this problem altogether if you opt instead for a chemically inert rock, such as granite or slate. Do not be put off by its relatively drab appearance out of water; the subtle hues will be much more obvious when the rock is submerged. Before placing rocks in the aquarium, scrub them in a solution of aquarium disinfectant and give them a good rinse in clean water. Avoid positioning rocks in corners or other places where water cannot flow easily behind them, because mulm will accumulate. Embed each rock firmly in the substrate, so that there is no risk of its toppling over or being undermined by the excavations of the fish. If you want to build rocks into towers, cement them together with a silicone sealant designed for aquarium use. Try not to clutter the tank with an excessive amount of rock, because this will impair the efficiency of the undergravel filter by reducing the area of the substrate through which water can flow. Bogwood—wood that has been either submerged in peaty water or buried in boggy ground for a long time—helps to give the aquarium a more natural feel. It also provides an attractive growing medium for plants such as Java Fern. It is especially suitable for aquariums where soft, acidic water conditions are required. Bogwood contains tannin, which will leach into the water and turn it brownish-yellow. The tannin is not harmful to fish, but it spoils the appearance of the tank. To prevent this, presoak bogwood in a bucket of water for several days. Change the water each day, and scrub the bogwood with a clean brush before adding it to the tank. Before finalizing your design for the tank, consider the fish you intend to keep, since they may influence the decor and the layout. For example, annual killifish need open swimming space, just as they would have in the pools they inhabit in the wild. Conversely, doradid catfish, which live in rocky streams, require plenty of hiding places in their aquarium, so you should arrange the rockwork into cavelike retreats. A few fish have very specific requirements. Some African cichlids, such as Signatus, spawn in snail shells, and you will have to include these in the tank if you want the fish to breed. The cleaned shells of large edible snails, as sold in gourmet shops, are ideal. Convection currents in the water distribute heat throughout the aquarium; warmed water rises toward the top of the tank, cools, and then sinks back down again. It is important that water can move freely around the heater; otherwise, this circulation will be disrupted and local hot spots will develop in the tank. In a large aquarium, it may be better to use two widely spaced thermostatic heaters, to ensure a more even distribution of warm water. An LCD thermometer attaches to the outside of the glass, but be careful not to touch the display with your fingers, since this will give a false reading. Keep it out of direct sunlight, too, which will have the same effect. An alcohol thermometer will not suffer from these problems because it attaches to the inside of the glass, but it may be dislodged by large, active fish. With all the decor and equipment in place, add the plants and water. When the tank is full, switch on the power. An indicator light on the heater will tell you whether it is operating, while bubbles produced by air pumps and power filters will show that they are functioning properly. Before introducing the fish, add a commercial seed culture of beneficial bacteria to the gravel. This can also be useful in a tank that does not have an undergravel filter, but still relies on a medium that carries out biological filtration in some form, such as the sponge in an internal power filter.